Your doctor may suggest you get an electrocardiogram - also called an EKG or ECG - to check for signs of heart disease. It's a test that records the electrical activity of your ticker through small electrode patches that a technician attaches to the skin of your chest, arms, and legs. Check on things that are abnormal, such as thickened heart muscle. How Should I Prepare fro an ECG? Avoid full-length hosiery, because electrodes need to be placed directly on your legs. Wear a shirt that you can remove easily to place the leads on your chest. 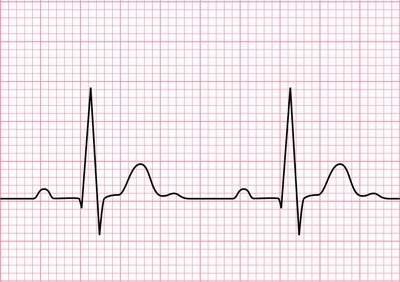 What Happens During an Electrocardiogram (ECG /EKG)? A technician will attach 10 electrodes with adhesive pads to the skin of your chest, arms, and legs. If you're a guy, you may need to have your chest hair shaved to allow a better connection. During the test you'll lie flat while a computer creates a picture, on graph paper, of the electrical impulses that move through your heart. This is called a "resting" EKG, although the same test may be used to check your heart while you exercise. Your doctor will keep your EKG patterns on file so that he can compare them to tests you get in the future. 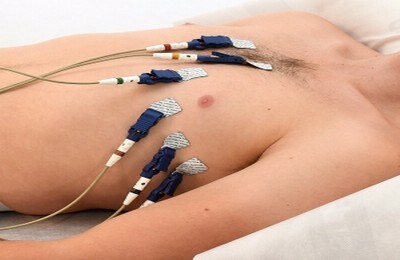 an ambulatory ECG – the electrodes are connected to a small portable machine worn at your waist so your heart can be monitored at home for 1 or more days.